Does your child have good analytical and problem solving skills and enjoy math challenges? We'd like to invite your dedicated mathemetician to join the 2017-2018 Math Olympiad Program at Bancroft. o Holidays on 5/29, 11/20, 12/25, 1/1, 1/15, and 2/19. o Teacher-in-Service days on 2/12 and 3/19. 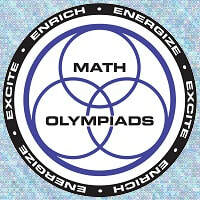 Math contests from 2:45-3:45 on the following Tuesdays: November 14, December 12, January 16, February 13 and March 6. If you are interested, please contact Erin Perlow at erinperlow@gmail.com or 925-708-6957.